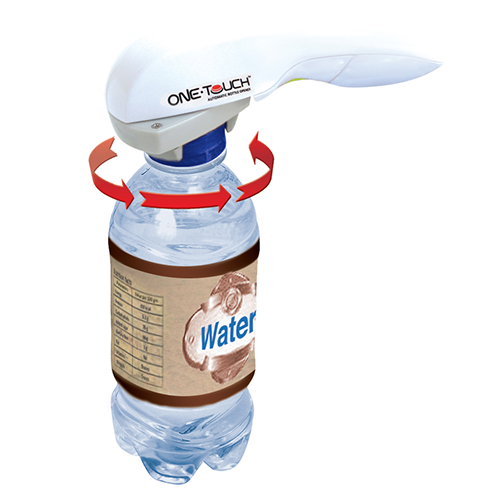 The One Touch Twizoff Automatic Bottle opener is suitable for either metal or plastic screw-top bottle caps up to 55mm in diameter. Its rubber jaws adjust automatically to the lid size and will break seals and open caps with a smooth, effortless motion. Perfect for people with weak or injured hands.